Miller Coors’ craft brewing unit Tenth & Blake Beer Co has purchased a minority stake in Terrapin Beer Co, a Georgia-based microbrewery. 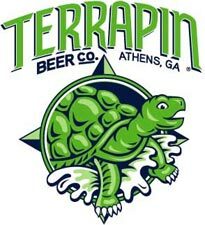 Earlier this month, Terrapin Beer Co has asked Tenth & Blake to convert a portion of its loan into a minority stake in the company, Online Athens reported. Terrapin Beer Co president John Cochran said this allows the company to significantly reduce its debt burden and enables it to invest more intensely in production capacity and innovation.